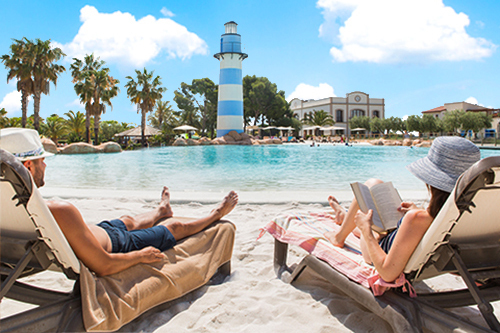 We want to offer you all kinds of options for you to spend a few days full of excitement at PortAventura. We want to offer you all kinds of options for you to spend a few days full of excitement at PortAventura. So for that reason we have made a selection of hotels and campsites that are close partners of the park and have the best services available. 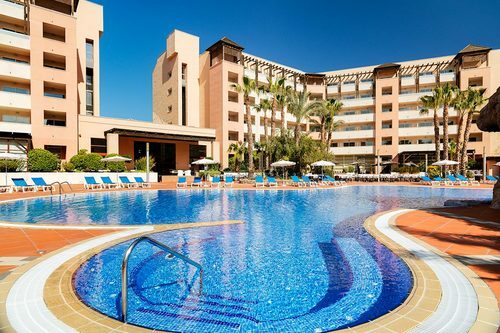 Ideal accommodation for families and couples looking to enjoy the Mediterranean beaches and sun, as well as the extensive range of leisure, relaxation and fun that can be found on the Costa Dorada. It has 3 adult pools and one children’s pool right next to the play area. One of the main attractions of this hotel is its restaurant, which offers a delicious and varied international buffet with a separate children’s buffet. 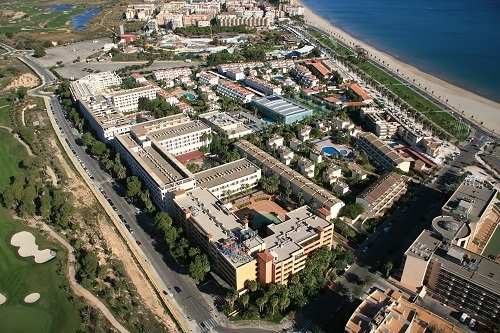 The H10 Salauris Palace hotel is located near the beach, PortAventura Park & Ferrari Land and several golf courses. 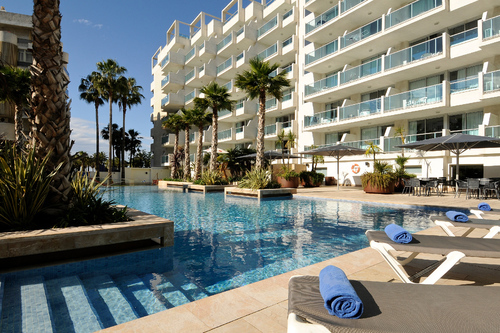 A magnificent hotel that has many services designed for an unforgettable stay in Salou. A particular highlight is its variety of cuisines available in recently renovated restaurants and bars, its ample swimming pools and landscaped area, as well as a complete entertainment programme for both adults and children. Located just 300 metres from Levante Beach, near to PortAventura and several golf courses. The entire construction integrates the Roman ruins of the Vil•la de la Burguera in the ample landscaped areas of the hotel. It offers international fine dining, themed dinner nights and varied and colourful gluten-free show cooking. Its pools, jacuzzis, solariums and extensive entertainment programme make this the perfect hotel for great family holidays. A hotel comprised of three buildings, bungalow-style apartments with hotel services and a fitness center to complete this complex. The rooms have a bathroom, a terrace and satellite TV. Just 500 meters from PortAventura and close to the beaches of the Costa Daurada. 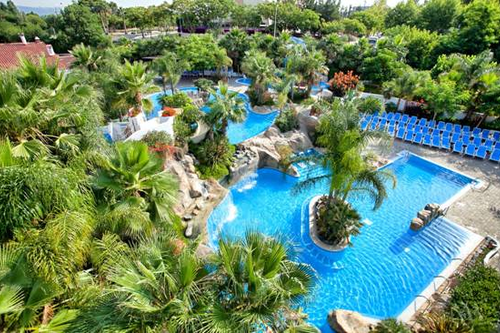 This hotel features a gym, spa, a heated pool, a children’s playground and a free shuttle service to the beaches and PortAventura. 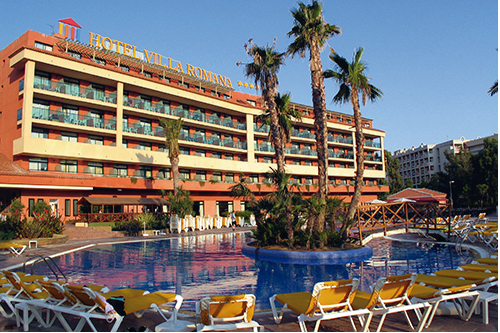 Located on the beach and just 2 km from PortAventura. It offers entertainment programs for adults and children, a gym and a spa, Wi-Fi, a pool for adults and children, Nintendo room, children's buffet and room service. Suite rooms for 3-4 people with kitchenette. It also has apartments for 3 to 5 people. Situated 4 kms. 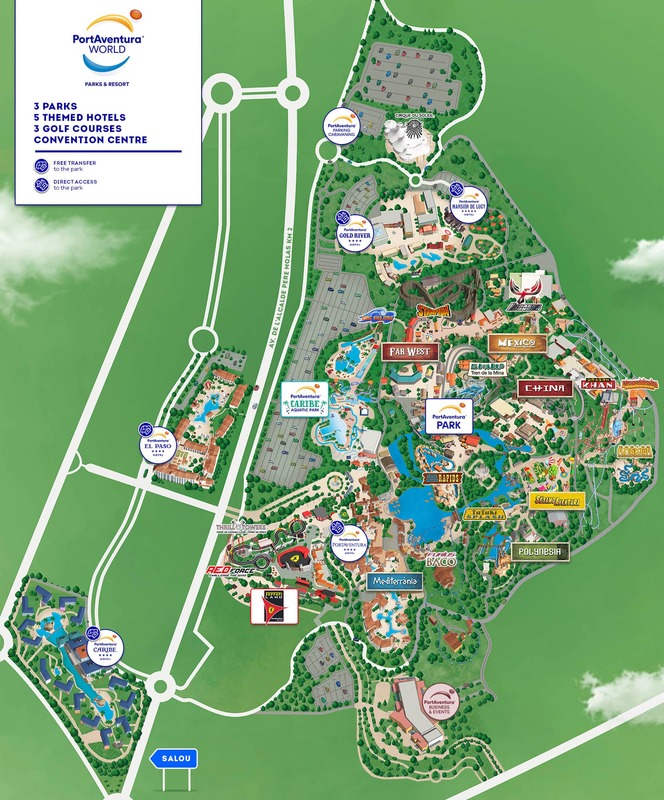 from PortAventura, we introduce an exclusive family bungalow park. With fun for the children, 3 themed swimming pools, miniclub, entertainment, shows, sports area, restaurants, shops, free WIFI and all that you can imagine for family recreation and relaxation. All of our bungalows are of the highest quality. 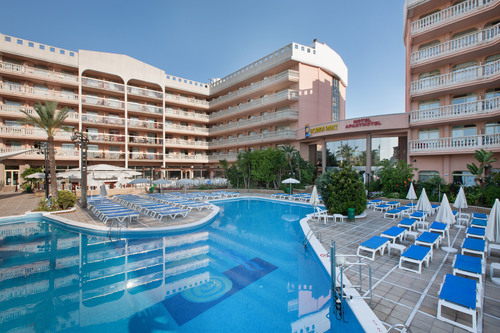 The only Resort located in the centre of Salou, just 400 metres from the beach and a 15-minute walk from PortAventura World. Make the most of swimming pools, an animation team to entertain both young and old, sports facilities and Mediterranean cuisine for fun with the whole family. Discover the new “Caribe” accommodation with a full range of amenities to ensure your stay is as relaxing as can be. Free Wi-Fi. The team at La Siesta Salou Resort & Camping can’t wait to welcome you here. 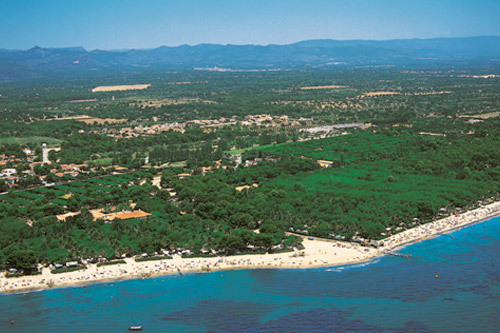 An exclusive resort located just a few meters from Salou's beaches and only 3 kms from PortAventura. Themed swimming pools, sports, mini club, children's entertainment, shows, restaurants, commercial area, free Wi-Fi. Fantasy and fun for the family wishing to relax near the ocean while enjoying a variety of activities. Accommodation with great comfort. Welcome to the ideal holiday destination. You’re sure to love it and have a wonderful time. Situated on one of the most exclusive beaches on the Costa Daurada, very close to PortAventura and the magnificent Roman Tarragona, our camping resort guarantees you a great holiday. Your holidays will never be the same after you’ve experienced. Discover our personalised attention, quality services and marvellous surroundings. The unique setting of lush vegetation and well-kept gardens you’ll find in our resort is firm proof of this. Find your campsite, from over 50 different locations! Sea or mountains, relaxation or active pursuits, tent or chalet ... in Càmpings Tarragona we have the perfect campsite for you and your family. Set in incredible surroundings with unique climate and pleasant warm sea, unique cultural heritage and nature, unique wines and cuisine, and a unique of entertainment possibilities ... you’ll always find a unique combination for your holidays at Càmpings Tarragona.